Avascular necrosis, also known as osteonecrosis or asceptic necrosis, is defined as bone death due to loss of blood supply to the affected area. It can be caused by long-term use of steroids, excessive alcohol consumption and illnesses such as sickle cell anemia. In addition to conventional medical treatment, proper nutrition is important when suffering from this type of bone deterioration. Consult your medical doctor for a specific treatment plan, which may include dietary modification and supplementation. One of the main prevention methods of avascular necrosis listed by the the National Institutes of Health is avoiding excessive alcohol consumption and is, therefore, one of the most important things you can do for your diet once diagnosed with the disease. 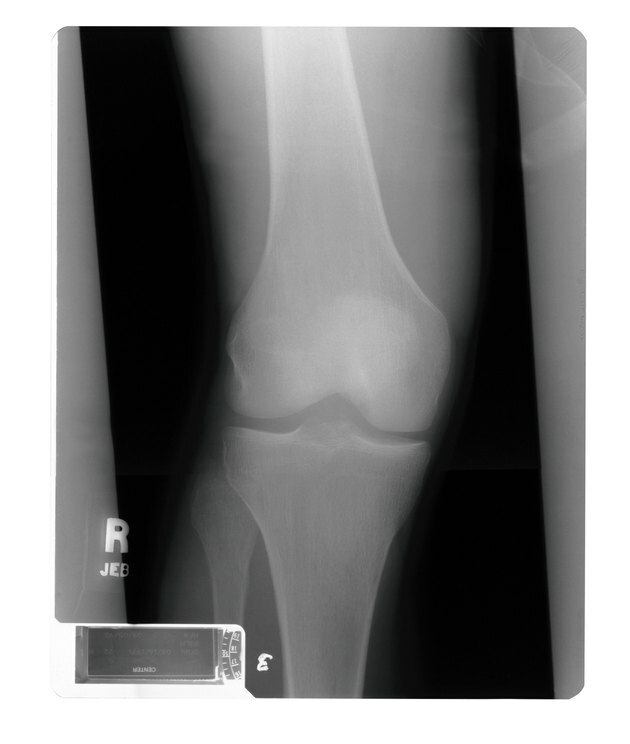 Conventional treatments for avascular necrosis also typically include exercise, rest and surgery, such as bone grafting and joint replacement. However, it is also crucial to avoid substances which can cause bone loss. The main culprits are alcohol, excessive sodium and stimulants such as caffeine and nicotine. Protein consumption has become a controversial subject with some fad diets. Some programs restrict or eliminate protein foods such as meat, eggs and dairy. Others advocate eating primarily protein foods. However, neither method is truly balanced, or holistic. According to Dr. Jane Higdon of the Linus Pauling Institute, both excessive consumption and lack of dietary protein can lead to bone loss. Deterioration of the bone is one of the main effects of avascular necrosis. Instead of following extremes, Dr. Higdon suggests adults get adequate amounts of protein in their diets. The U.S. Department of Agriculture's guidelines state that men and women should consume between 5 1/2 to 6 1/2 oz. of protein each day. This includes meat, eggs, fish, nuts, seeds, dried beans and other legumes. Calcium and vitamin D work together to build healthy bones. Although these nutrients alone do not specifically treat avascular necrosis, they are important in preserving bone mass. Foods rich in these essential nutrients include dairy products like milk, cheese and yogurt, as well as fortified cereals, orange juice and soy milk. The National Institutes of Health notes that most people do not get enough vitamin D or calcium to maintain healthy bones. Adults require at least 1,000 mg of calcium each day, and 1,200 mg if they are 70 years or older. They also require at least 600 IU of vitamin D daily, or 800 IU if over the age of 70. Because vitamins and minerals work together in the body to ensure all systems function properly, it is important to eat a variety of foods, especially whole grains, fresh fruits and vegetables each day. According to the USDA adults require 6 to 8 oz. of grains daily, half of which should be whole grains. They also require 1 1/2 to 2 cups of fruit and 2 1/2 to 3 cups of vegetables each day. Typically, foods rich in color are also high in vitamins. Eat produce such as apples, berries, citrus fruits, carrots, beets, red and orange bell peppers, summer squash, broccoli, spinach and other dark green leafy vegetables.